Dr. Ashish Gupta is a co-founder of Helion and serves on several boards including Kirusa, Komli, MySmartPrice.com, Pubmatic, and SMSGupshup. He has co-founded two successful companies – Tavant Technologies and Junglee (AMZN). He has also worked at Woodside Fund, Oracle Corporation, and IBM research. Some of his past investments include Daksh (IBM), InfoEdge (NAUKRI), MakeMyTrip (MMYT), MuSigma, Odesk, and Redbus (MIH). 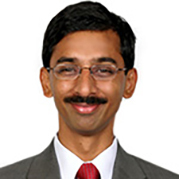 Ashish is a Kauffman Fellow, holds a Ph.D. in Computer Science from Stanford University, and a Bachelor’s degree from Indian Institute of Technology Kanpur where he was awarded the President’s Gold medal.